Hong Kong, July 10, 2014 — The liberalization of regulatory restrictions on Asian insurance companies investing in real estate is accelerating, and this is helping to drive an increase in real estate investments, according to CBRE’s latest research report Liberalization and the Rise of Asian Insurance Investment in Real Estate. Regulations around insurance company investment have historically been tight in the Asia region, limiting the capital deployed into real estate assets. But this situation is changing as several countries in the region have started to allow overseas direct investments, higher allocation to real estate and a simplified approval process. According to the insurance regulators in 10 Asia jurisdictions, total insurance assets reached the level of US$6.7 trillion in Asia at the end of 2013, higher than US$5.8 trillion in US and US$3 trillion in the UK. Japan is the largest insurance market by assets, controlling US$3.3 trillion of assets while the rest is largely held by insurers in China, South Korea and Taiwan. These four countries collectively control about 90% of the insurance assets in Asia. Insurance companies in Asia are generally under-allocated to real estate because of stringent regulations, especially around overseas assets. Most of their overseas allocations are in liquid and transparent assets such as equities, cash, fixed income and government bonds. “Asian insurance companies have seen the positive results pension plans and sovereign funds have achieved from increasing their exposure to global real estate. Importantly there is now evidence and precedence in place which both regulators and investment committees can point to, which may relieve concerns around the risk/return tradeoffs,” commented Marc Giuffrida, Executive Director in CBRE’s Global Capital Markets team. Industry statistics indicate that at the end of 2013, the real estate made up on average just 2% of Asian insurers’ portfolios—US$130 billion, which includes direct real estate and indirect real estate investments as well—which comprises 1.0% in China, 1.8% in Japan and 2.4% in South Korea. By comparison developed markets typically allocate 4-6% of their assets to real estate, while the figure stands at 6.7% for the US and 5.1% for the UK. For Asia, Taiwan stands out as the one market that has relatively high real estate allocation of 4.8%; however, this capital has been trapped within Taiwan itself, with overseas investments only allowed since 2013. Asian insurers are also growing rapidly, particularly over the past five years, due to a low penetration relative to the west combined with fast economic growth. Insurance premiums in China alone have grown above 10% per year on average for the past five years. Moreover, insurance business in Asia still has significant potential to grow. The asset size of the Asia insurance sector is also growing fast, having increased 13% between 2008 and 2013. CBRE predicts that the combined effect of an increase in insurers’ asset sizes and increasing liberalization will result in Asian insurers’ real estate investment assets growing from US$130 billion in 2013 to US$205 billion in 2018, which would translate into additional inflows of about US$75 billion into real estate—including direct and indirect real estate investment. Compared to mature markets, there is a lack of investible assets in Asia, however. This, coupled with the recent rule relaxations, means we are seeing more Asian insurers tapping other regions. In 2013 alone, there were about US$2.4 billion of direct commercial real estate purchases by Asian insurers outside Asia Pacific. Typically, these insurers have a strong preference for trophy assets in gateway cities, particularly when they make their first overseas investments. The top cross-border destinations are London and New York, though it varies by country where their insurers are looking to invest. Chinese and Taiwanese insurance companies are likely to be more active in overseas real estate markets given lack of opportunities and low yield levels for prime core assets in their domestic markets. Direct real estate investment will be their preferred channel given their preference for full ownership. Japanese insurance firms are expected to stay in domestic market as they have been hurt by overly aggressive overseas investments in the 1990s. South Korean insurance companies have invested overseas over the past years and they have accumulated experience in overseas real estate markets. We expect that Korean insurers will use more indirect channels to expand their global portfolios. “Given the low yield levels and the shortage of investable stock, particularly stabilized income producing assets in domestic markets, Asian insurance companies will have to explore opportunities in overseas markets. The lack of overseas real estate investment experience and the need for regulatory approvals is likely to mean activity will be limited initially to larger insurance companies with strong financial capability securing assets in major global cities, however as experience is built up we expect the tier two players to emerge in cross-border acquisitions and explore indirect strategies,” said Mr Giuffrida. “CBRE expects the increase in capital deployment to real estate by Asian insurers will grow largely in tandem with the total asset size of the sector in the next five years. 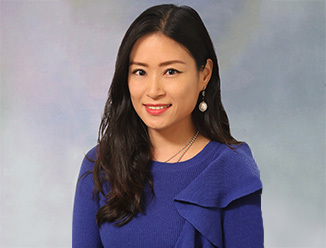 Looking ahead to the longer term, liberalization for insurance companies will speed up the pace of international real estate investments by Asian insurance companies,” comments Ada Choi, Senior Director for CBRE Research. 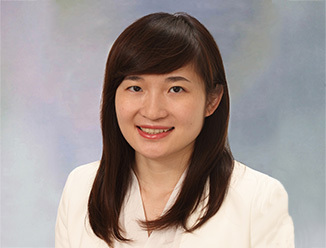 “We expect that further relaxation on overseas real estate investment will take place as regulators gain more confidence about overseeing such investments and insurance firms become savvier about investing globally,” continued Ms Choi.